Android 7.1.1 is ready to Install and run in Asus Zenfone 2 Laser ZE550KL device. This is an Amazing thing that now we can run Android N in our Zenfone 2. Asus is planning to launch Android N update for few Zenfone device and Zenfone 2 Laser is one of them. We all know Asus very well, Even if they give us an update, That update must have lots of bugs. Asus also do delay to fix those Bugs. But this time we will update our phone using Cyanogen MOD 14.1 which is recently released and updating almost every day to fix the bugs and to make the system stable for users. 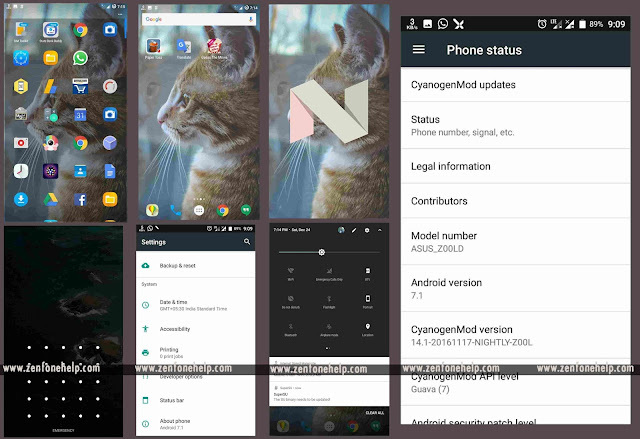 I have been using Cyanogen MOD 14 from the past one month and I am very happy with the performance so I decided to make a tutorial that will guide all other user and let them use this Amazing Cyanogen MOD with Android N.
I will explain all the procedures in details for all of you. But You have to read the instructions carefully so you can do the steps correctly. #NOTE no 1: Make a complete backup of your phone internal Storage, It will erase all the data inside the phone. Memory card and sim card won't be affected. Wait for 15 minutes and then it will install the Cyanogen MOD 14.1 in your Asus Zenfone 2 Laser device. Now reboot the phone and let the phone boot. This time the boot will take more time, Don't be panic..
Then use the same procedure and install the GAPPS(Google APps) then restart your phone..
Now you will able to use Android N in your device.. CONGRATS.. 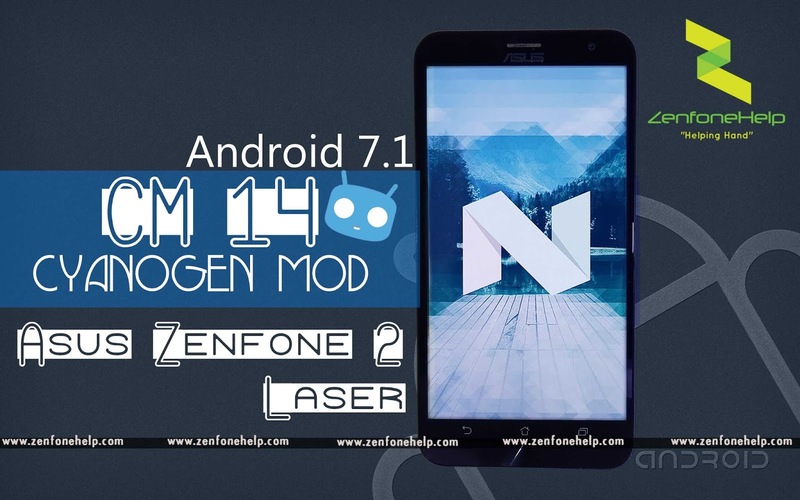 This is the procedure for Installing Android N in your Asus Zenfone 2 Laser Device.. I hope you guys will do this successfully. If you face any issue then comment below or have a live chat with me on my blog.. I will try to help you..
You have to install it using TWRP recovry. You cant install it using stock recovery, If you do so it will give the same error " installation abroted. " Is there any bug in this mod that anyone is facing..such as volte support,call on speaker etc. ?